Lorco collects used oil and other petroleum related wastes with our state-of-the-art collection fleet in the Hackettstown area. All oils are recycled in accordance with local, state and federal regulations. With the largest oil recycling fleet servicing the Hackettstown area, Lorco can provide you with rapid response time to serve your oil recycling needs in Hackettstown. Lorco can provide your Hackettstown location(s) with 55 gallon DOT approved steel, lidded drums for the storage, transportation and recycling of your used oil filters. The filters are removed, crushed, shredded and then used to manufacture several types of steel products. Lorco removes and recycles used antifreeze in the Hackettstown area, whether it is stored in bulk containers or 55 gallon drums. Our remanufactured antifreeze/coolant removes suspended and dissolved metals, combined silicates, phosphates and corrosion producing elements. Inhibitors have been added to produce a low silicate, low phosphate coolant suitable for use in automotive and diesel engines. We can provide antifreeze to your Hackettstown location with bulk or drum delivery. Our 50/50 blend is ready to use. Our fleet of vacuum trucks can provide cleaning on all types and sizes of tanks. Whether your tanks are aboveground, underground, commercial or residential, Lorco can meet your needs. 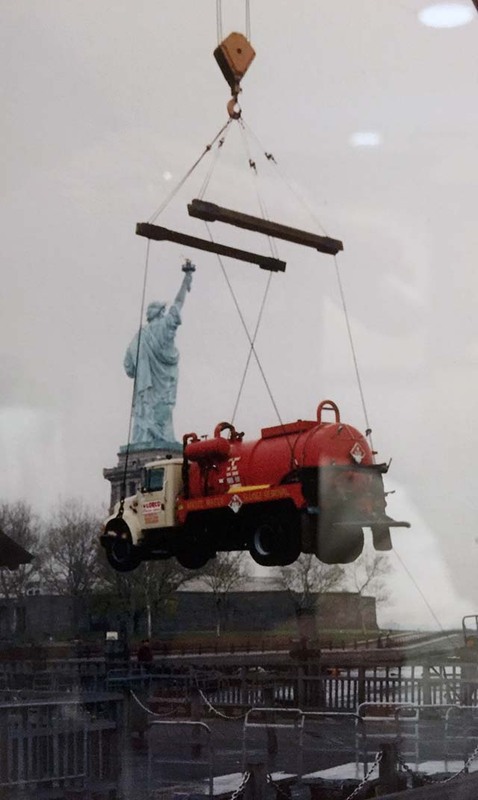 Our trained personnel will remove various types of oil, sludge, oily water and gasoline from your tanks in the Hackettstown area and safely transport the materials for proper disposal. Lorco has a modern fleet of vacuum tank trucks and trailers to serve Hackettstown and the surrounding area. We can provide transportation services for any petroleum-based waste stream that you may generate. Lorco specializes in the disposal of water and other materials generated from site remediation, as well as small and large scale dewatering projects. Lorco can remove a wide range of petroleum-contaminated material that is stored in 55 gallon drums. Lorco can also provide quality absorbent pads in 100 count bundles or 150’ perforated rolls. In addition, we provide empty steel drums in the Hackettstown area for collection and disposal of used pads, etc. We can provide on-site cleaning of your separator, removal of sludge build-up and other petroleum-contaminated products for your locations in the Hackettstown area. It is recommended your separators are serviced on a routine basis. Lorco can provide you with routine service quarterly, semi-annually or annually. Lorco maintains a state-of-the-art industrial pre-treatment wastewater system to treat and dispose of petroleum-contaminated wastewater generated by our clients. If your Hackettstown location is currently generating a petroleum-contaminated wastewater waste stream or you have questions about a future dewatering project, please call us for a free treatability analysis to determine if your waste stream can be handled safely and effectively at our facility. Lorco offers parts washer service, sales and leasing in the Hackettstown area. Whether you own your equipment or are interested in purchasing or leasing, Lorco is the right choice. Lorco can provide service in the Hackettstown area to fit your needs weekly, monthly or yearly. A non-hazardous parts washer solvent is available for delivery in 16, 30 or 50 gallon drums for your locations in the Hackettstown area. Lorco can transport and dispose of your wastewater stream regardless of quantity, in the Hackettstown area. We service small generators as well as customers with large volume dewatering projects. Lorco has a fleet of transportation vehicles ranging from 2,200 gallon capacity trucks to 7,000 gallon trailers to service Hackettstown and surrounding areas. Lorco’s bulk washer fluid system is the most cost-effective way to purchase windshield washer fluid for your locations in Hackettstown. Available for delivery in bulk and drums, Lorco provides automatic delivery to assure continuous service for your customers in the Hackettstown area. Lorco collects used oil and other petroleum related wastes with our state-of-the-art collection fleet in the Alpha area. All oils are recycled in accordance with local, state and federal regulations. With the largest oil recycling fleet servicing the Alpha area, Lorco can provide you with rapid response time to serve your oil recycling needs in Alpha. Lorco can provide your Alpha location(s) with 55 gallon DOT approved steel, lidded drums for the storage, transportation and recycling of your used oil filters. The filters are removed, crushed, shredded and then used to manufacture several types of steel products. Lorco removes and recycles used antifreeze in the Alpha area, whether it is stored in bulk containers or 55 gallon drums. Our remanufactured antifreeze/coolant removes suspended and dissolved metals, combined silicates, phosphates and corrosion producing elements. Inhibitors have been added to produce a low silicate, low phosphate coolant suitable for use in automotive and diesel engines. We can provide antifreeze to your Alpha location with bulk or drum delivery. Our 50/50 blend is ready to use. Our fleet of vacuum trucks can provide cleaning on all types and sizes of tanks. Whether your tanks are aboveground, underground, commercial or residential, Lorco can meet your needs. Our trained personnel will remove various types of oil, sludge, oily water and gasoline from your tanks in the Alpha area and safely transport the materials for proper disposal. Lorco has a modern fleet of vacuum tank trucks and trailers to serve Alpha and the surrounding area. We can provide transportation services for any petroleum-based waste stream that you may generate. Lorco specializes in the disposal of water and other materials generated from site remediation, as well as small and large scale dewatering projects. Lorco can remove a wide range of petroleum-contaminated material that is stored in 55 gallon drums. Lorco can also provide quality absorbent pads in 100 count bundles or 150’ perforated rolls. In addition, we provide empty steel drums in the Alpha area for collection and disposal of used pads, etc. We can provide on-site cleaning of your separator, removal of sludge build-up and other petroleum-contaminated products for your locations in the Alpha area. It is recommended your separators are serviced on a routine basis. Lorco can provide you with routine service quarterly, semi-annually or annually. Lorco maintains a state-of-the-art industrial pre-treatment wastewater system to treat and dispose of petroleum-contaminated wastewater generated by our clients. If your Alpha location is currently generating a petroleum-contaminated wastewater waste stream or you have questions about a future dewatering project, please call us for a free treatability analysis to determine if your waste stream can be handled safely and effectively at our facility. Lorco offers parts washer service, sales and leasing in the Alpha area. Whether you own your equipment or are interested in purchasing or leasing, Lorco is the right choice. Lorco can provide service in the Alpha area to fit your needs weekly, monthly or yearly. A non-hazardous parts washer solvent is available for delivery in 16, 30 or 50 gallon drums for your locations in the Alpha area. Lorco can transport and dispose of your wastewater stream regardless of quantity, in the Alpha area. We service small generators as well as customers with large volume dewatering projects. Lorco has a fleet of transportation vehicles ranging from 2,200 gallon capacity trucks to 7,000 gallon trailers to service Alpha and surrounding areas. Lorco’s bulk washer fluid system is the most cost-effective way to purchase windshield washer fluid for your locations in Alpha. Available for delivery in bulk and drums, Lorco provides automatic delivery to assure continuous service for your customers in the Alpha area. 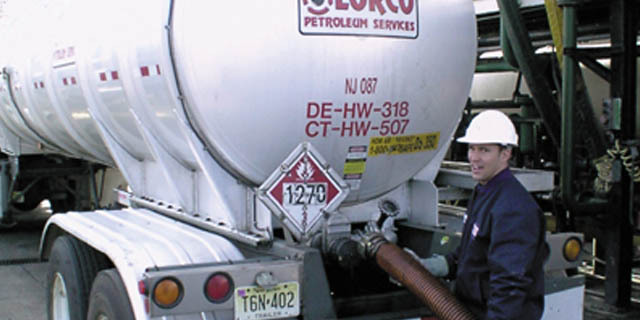 Lorco collects used oil and other petroleum related wastes with our state-of-the-art collection fleet in the Toms River area. All oils are recycled in accordance with local, state and federal regulations. With the largest oil recycling fleet servicing the Toms River area, Lorco can provide you with rapid response time to serve your oil recycling needs in Toms River. Lorco can provide your Toms River location(s) with 55 gallon DOT approved steel, lidded drums for the storage, transportation and recycling of your used oil filters. The filters are removed, crushed, shredded and then used to manufacture several types of steel products. Lorco removes and recycles used antifreeze in the Toms River area, whether it is stored in bulk containers or 55 gallon drums. Our remanufactured antifreeze/coolant removes suspended and dissolved metals, combined silicates, phosphates and corrosion producing elements. Inhibitors have been added to produce a low silicate, low phosphate coolant suitable for use in automotive and diesel engines. We can provide antifreeze to your Toms River location with bulk or drum delivery. Our 50/50 blend is ready to use. Our fleet of vacuum trucks can provide cleaning on all types and sizes of tanks. Whether your tanks are aboveground, underground, commercial or residential, Lorco can meet your needs. Our trained personnel will remove various types of oil, sludge, oily water and gasoline from your tanks in the Toms River area and safely transport the materials for proper disposal. 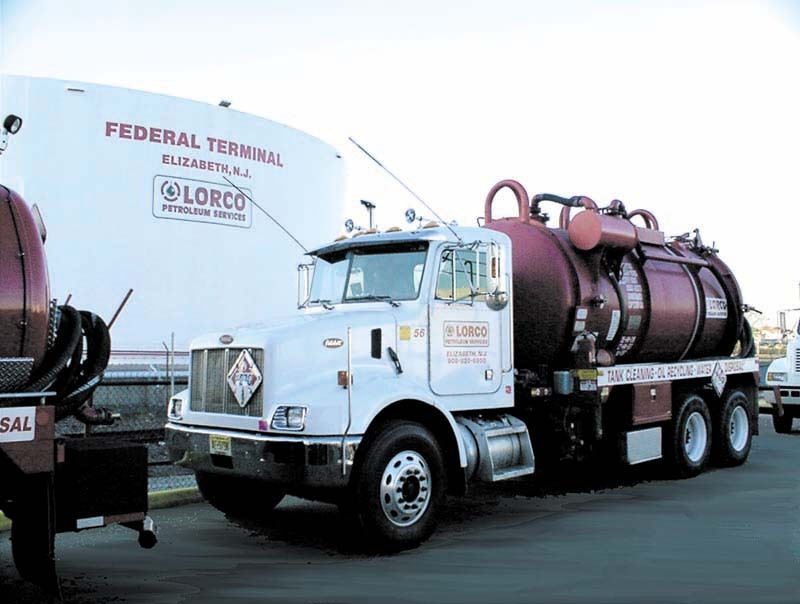 Lorco has a modern fleet of vacuum tank trucks and trailers to serve Toms River and the surrounding area. We can provide transportation services for any petroleum-based waste stream that you may generate. Lorco specializes in the disposal of water and other materials generated from site remediation, as well as small and large scale dewatering projects. Lorco can remove a wide range of petroleum-contaminated material that is stored in 55 gallon drums. Lorco can also provide quality absorbent pads in 100 count bundles or 150’ perforated rolls. In addition, we provide empty steel drums in the Toms River area for collection and disposal of used pads, etc. We can provide on-site cleaning of your separator, removal of sludge build-up and other petroleum-contaminated products for your locations in the Toms River area. It is recommended your separators are serviced on a routine basis. Lorco can provide you with routine service quarterly, semi-annually or annually. Lorco maintains a state-of-the-art industrial pre-treatment wastewater system to treat and dispose of petroleum-contaminated wastewater generated by our clients. If your Toms River location is currently generating a petroleum-contaminated wastewater waste stream or you have questions about a future dewatering project, please call us for a free treatability analysis to determine if your waste stream can be handled safely and effectively at our facility. Lorco offers parts washer service, sales and leasing in the Toms River area. Whether you own your equipment or are interested in purchasing or leasing, Lorco is the right choice. Lorco can provide service in the Toms River area to fit your needs weekly, monthly or yearly. A non-hazardous parts washer solvent is available for delivery in 16, 30 or 50 gallon drums for your locations in the Toms River area. Lorco can transport and dispose of your wastewater stream regardless of quantity, in the Toms River area. We service small generators as well as customers with large volume dewatering projects. Lorco has a fleet of transportation vehicles ranging from 2,200 gallon capacity trucks to 7,000 gallon trailers to service Toms River and surrounding areas. Lorco’s bulk washer fluid system is the most cost-effective way to purchase windshield washer fluid for your locations in Toms River. Available for delivery in bulk and drums, Lorco provides automatic delivery to assure continuous service for your customers in the Toms River area.